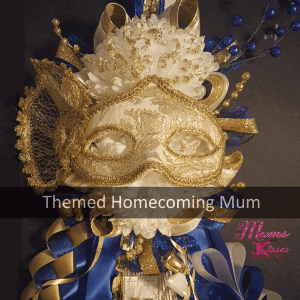 Mums and Kisses is opened all year long for Baby Mums, Class Reunion Mums and Funeral Mums. 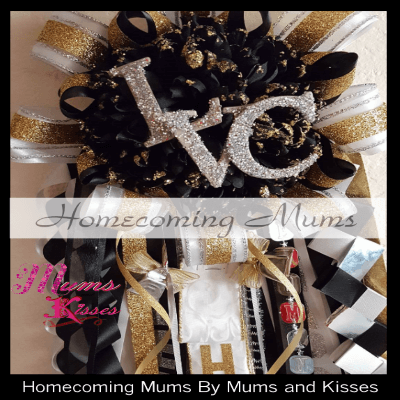 Our physical location is open seasonally from August to November for Homecoming Mums. Please read all before contacting us, we may answer your question here. Where’s My Mum? Looking for your order? 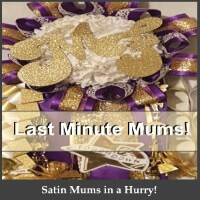 We know you’re excited to get your mum, please use our online tracking FIRST before contacting us. It will answer your status questions and also give you tracking info when shipped. Our system alerts us when you sign in to track your order. We will not respond to “Where’s my mum” questions if you have not logged in to track. Please WATCH YOUR EMAILS and note the notices on our website as we keep you up to date BEFORE calling or emailing as it takes time away from us making your creations. Thank you for understanding. 5th -Your order has shipped and will contain tracking information that will track your package at each stop until it arrives to you. Or if your order is a pickup this email will let you know that your order is now ready to be picked up. NOTE: If you received a “How’d we do” email and haven’t received your order yet, this is an automated email. Please disregard until you do receive your order. Thank you! Please note before contacting, WE ARE PEOPLE TOO. Politeness will get you farther than demands, quick emails, and shortness. We understand we are providing a service, but we handmake your orders from scratch and a LOT of them and still take time to be courteous and polite, we ask the same of our customers, especially from minors. Live Chat – Located at the bottom right hand corner of our product pages, you can chat with our Mum Helpers during normal business hours. 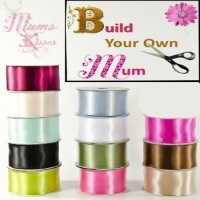 Order all online on the product pages of each mum and choose your selections one by one. Place an order over the phone during normal business hours at 817-518-9000. Please no emailed orders. Here is our Quick Links to get you the information that you might need.